Sabarimala Adivasi Rights Restoration Committee convener M Geethanandan said a state-level meeting would be convened on January 14 as part of the renaissance protest against casteism and brahminism. 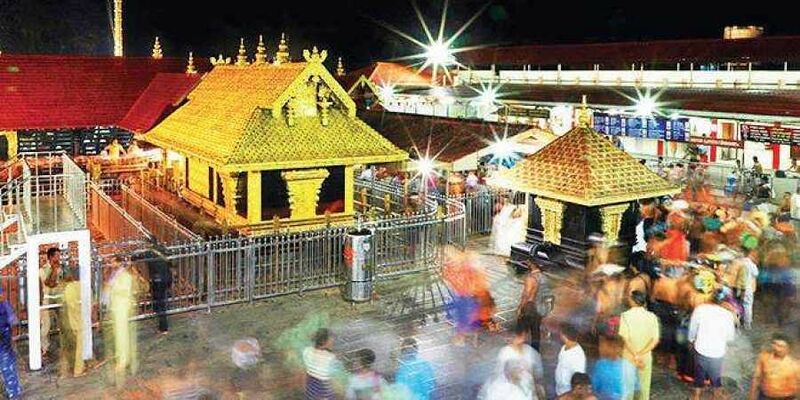 KOCHI: The final phase of the Makaravilakku pilgrimage season at Sabarimala is likely to be a tense affair with more women expected to visit the hill shrine and the police anticipating a complete breakdown of the law-and-order situation. A senior police team led by state chief Loknath Behera on Friday took stock of the situation and devised measures to strengthen security at Sabarimala. “We’ll take adequate measures to prevent untoward incidents. Special security arrangements will be made during Makaravilakku,” said Behera. A few progressive organisations have already announced their plans to bring more women to the Lord Ayyappa temple. Sabarimala Adivasi Rights Restoration Committee convener M Geethanandan on Friday said more young women would trek after Makaravilakku. Though the committee had planned to bring women of restricted age to Sannidhanam during the initial days of the Makaravilakku season, it postponed the decision following the visit of Kanaka Durga and Bindu to the shrine on January 2. Geethanandan said a state-level meeting would be convened on January 14 as part of the renaissance protest against casteism and Brahminism. In a symbolic protest, they will also burn an effigy of ‘thantra samuchayam’. Meanwhile, the Sabarimala Karma Samithi has affirmed the nature of protests will turn more aggressive if the government again attempts to take women in proscribed age limit to the hill shrine. In a meeting here, the Samithi decided to stand by the thantri on temple rituals issue and launch a massive campaign against the entry of young women to Sabarimala. Samithi general convenor S J R Kumar also said the Union Government should launch a probe into the involvement of SDPI, PFI and Maoists in bringing women to Sabarimala to break the age-old temple ritual. T’Puram: The Travancore Devaswom Board will seek an explanation from Sabarimala thantri Kandararu Rajeevararu on the purification ritual performed after Bindu Ammini and Kanaka Durga entered the temple on Wednesday.